Libyan writer Hisham Matar discusses his new book The Return. Part memoir, part investigation, Matar's book is a powerful and candid account of his struggle to find out what happened to his father... A Book that Explores the Unjust Abstraction of Disappearance. Hisham Matar's The Return is a powerful memoir of exile, loss and hope in a fractured world. A Book that Explores the Unjust Abstraction of Disappearance. 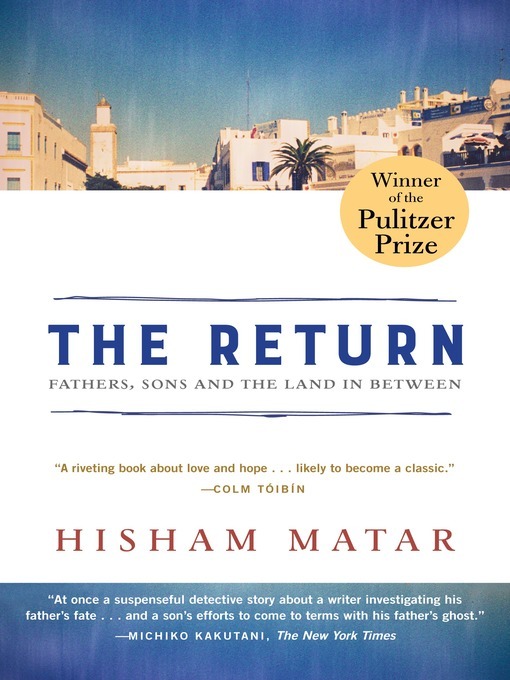 Hisham Matar's The Return is a powerful memoir of exile, loss and hope in a fractured world.